Use this printable cocktial party invitation template to print and make your own cocktial party invitations. 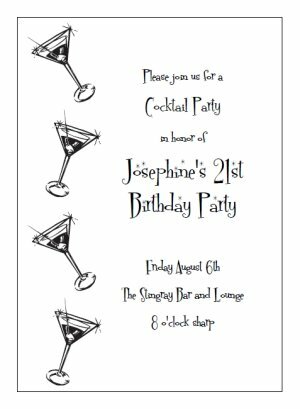 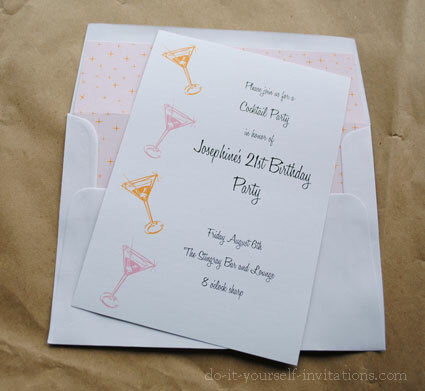 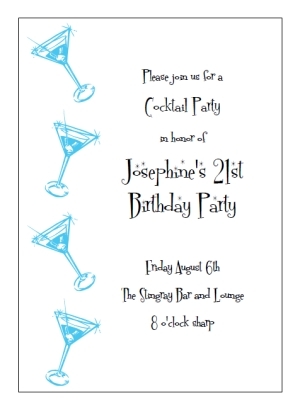 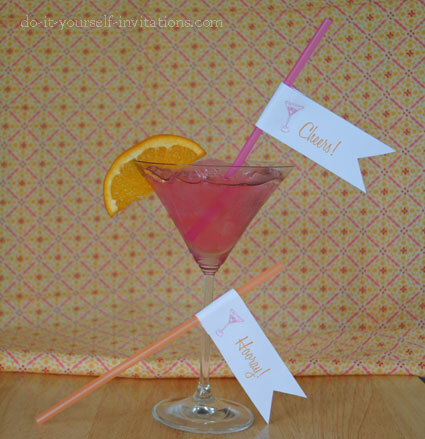 I love these for an adult birthday cocktail party, or better yet, a 21st birthday party invitation! 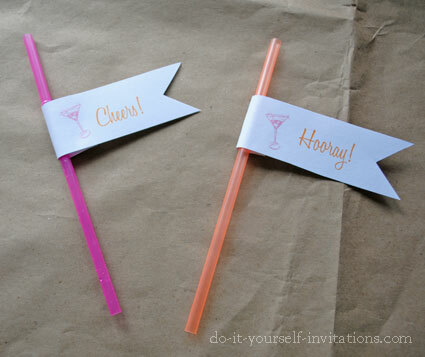 Make invitations for your upcoming party that are both inexpensive and stylish! 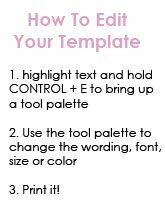 Using our templates is super easy! 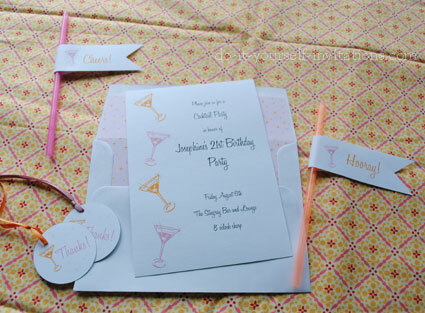 All you have to do is personalize the invitation with your own wording or even change the fonts and font colors, print them out at the highest quality settings for your computer printer, and then trim them to size using our helpful cutting guides. 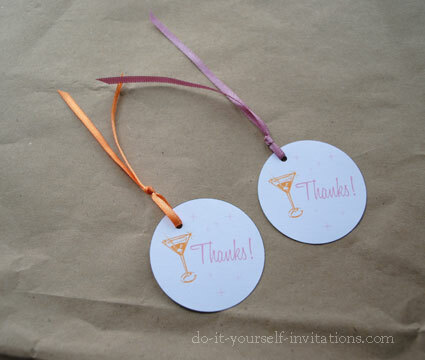 You can even add some colorful paper, a cardstock backing, or some ribobn or rhinestones to make them really pop and stand out.